Land Minister Saifuzzaman Chowdhury made the call on Friday at an emergency OIC executive committee meeting in Istanbul on the terrorist attacks on Muslims in Christchurch, New Zealand. 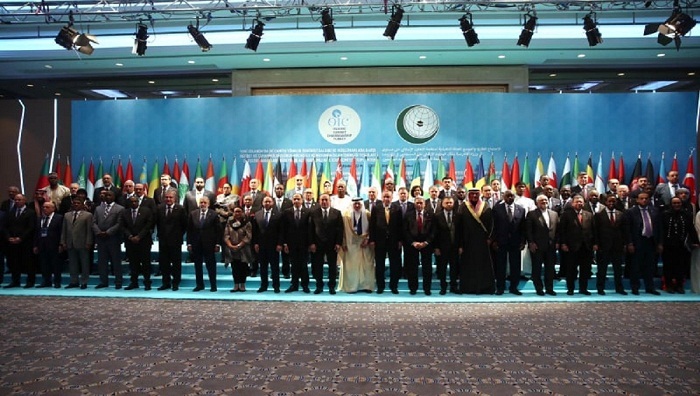 The emergency session of Foreign Ministers ended with adoption of a Communique calling for taking pragmatic measures by OIC to tackle terrorism, Islamophobia and hatred against Muslims around the world. Turkish Foreign Minister Mevlut Cavusoglu, the current Chair of OIC Summit, convened and chaired the meeting. OIC Secretary General Dr Yousuf Al Othaimeen attended the session. He also delivered a statement emphasising interfaith harmony as well as giving a brief description of actions taken by his government to express and extend support and respect to Muslim community in New Zealand. The session was preceded by a senior officials meeting in the evening of March 21 where the communique was finalised. Ambassador Gousal Azam Sarker, Director General (International Organisation), Ministry of Foreign Affairs, Bangladesh Ambassador to Turkey M Allama Siddiki, Deputy Chief of Mission of Bangladesh Embassy Riyadh Dr Nazrul Islam, Consul General of Bangladesh in Istanbul Dr Monirul Islam and Rais Hasan Sarower, Minister Political of Bangladesh Embassy Ankara were present.